CPhI Worldwide is the world's largest exhibition of pharmaceutical raw materials. It is held annually in major developed cities in Europe and has become a professional platform for trade promotion and information exchange among the global pharmaceutical industry. The exhibition has been successfully held for 27 sessions and has become the industry's premier professional exhibition. As a professional exhibition, she has been actively participated and widely recognized by the world's pharmaceutical raw materials industry, and has become an annual gathering of pharmaceutical raw materials industry around the world. Organic Herb Inc. was invited to participate in the exhibition, bringing our company's main products: resveratrol, epimedium extract, Tongkat Ali extract, natural pigments, etc. to exhibitors and visitors from all over the world. Resveratrol is extracted from the natural plant Polygonum cuspidatum and grape vine. It is a strong biological natural polyphenolic substance, also known as ninhydrin, which is a chemopreventive agent for tumors. It is also a mean of reducing platelet aggregation, prevention and treatment. A chemopreventive agent for atherosclerosis ,cardiovascular and cerebrovascular diseases. Resveratrol is widely used as a natural health raw material in food, medicine, health care products, cosmetics and other fields. Natural pigments have received wide attention and favor in recent years because of their natural ingredients, no side effects, high safety, strong stability and strong coloring ability. Kanglong Bio is mainly engaged in pigment products, including beet red, tomato red, gardenia yellow, turmeric, chlorophyll, gardenia blue and other natural pigments that are popular among consumers. 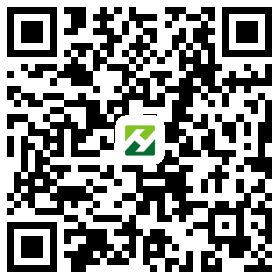 OHI, a professional manufactory of plant extracts. Founded in 2004, we have been engaged in the planting industry for more than ten years. We adhere to the philosophy of “delivering health for human beings and creating value for customers”. We will continue to provide quality products and services to our customers! Thank for your support during the Spanish exhibition. We look forward to meeting you again at the upcoming Supplyside West 2018 in November Las Vegas.